I’ve been interviewed by Charlie Cochrane today. Fun questions about writing, reading, and publishing, and I’m sharing a secret. It’s all go this week. 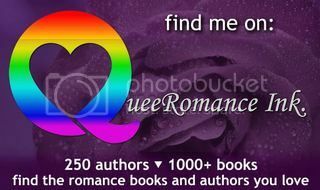 Both Shades of Sepia and Electric Candle were reviewed by Gay List Book Reviews. You can read the review for Shades of Sepia here, and the review for Electric Candle here. Shades of Sepia and Elizabeth Noble’s Electric Candle have both received honourable mentions in this years’ Rainbow Awards. You can read the judge’s comments for Shades of Sepia here, and Electric Candle here. I’m blogging at Charlie Cochet‘s today about Winter Duet and the use of code in music.